We recently completed our first Whole30. The hardest menu items for me to come up with were for breakfast. 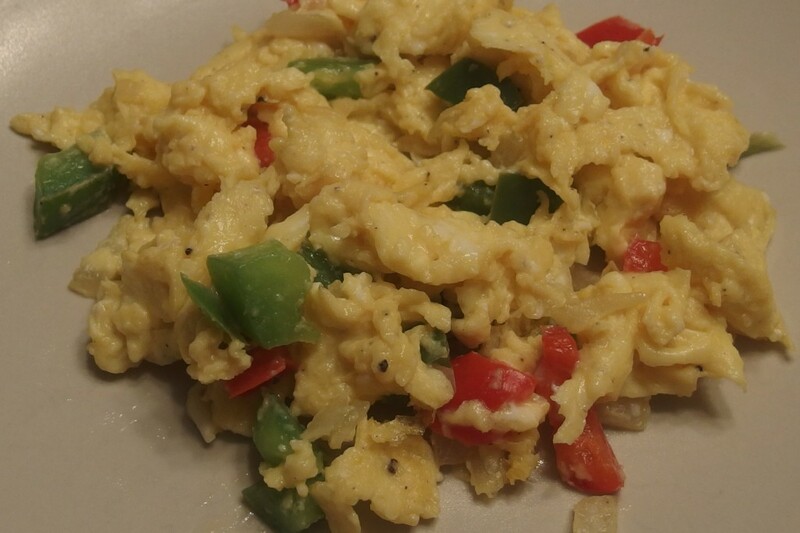 Can scrambled eggs work for all the Whole30 breakfast recipes? I think my kids would protest. I’ve never been a huge breakfast person, but I found myself waking up starving every morning so not eating wasn’t an option. I needed food! Affiliate links are used in these posts. If you are worried about keeping your grocery budget low while doing Whole30, this menu plan template will save you! All the same principles apply as when eating a traditional diet. A little planning makes your life easier and saves money. What are your favorite breakfast foods? Any great grain and dairy free ideas to share? 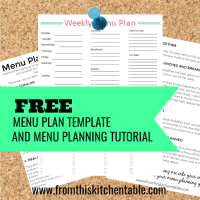 Don’t forget to get your free menu plan template here! 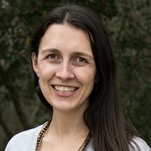 This entry was posted in Uncategorized on October 22, 2014 by Deanna Michaels. These are great, and lovely breakfast ideas!!! I’ve so many times wondered what would be more healthy yet doable ideas the family would like. And I believe these recipes would be just awesome. We enjoyed many from this list! 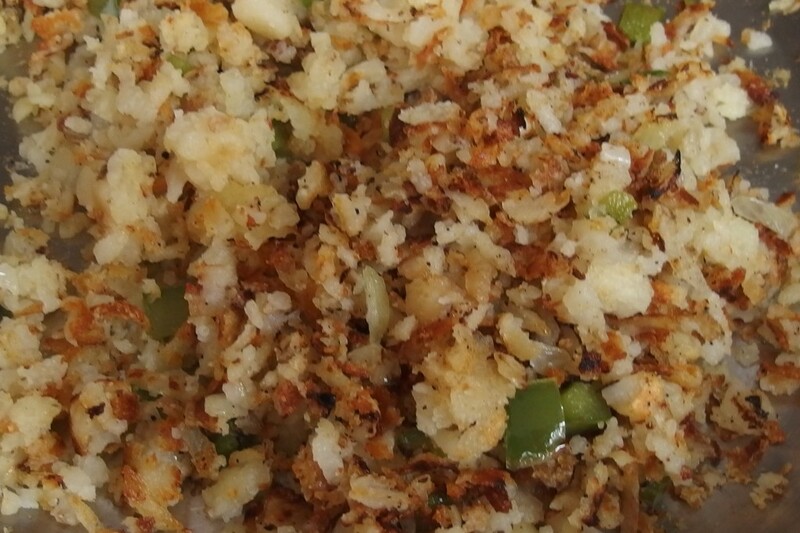 The hash browns (I’m a fan of the sweet potato ones) and breakfast casserole we have frequently. Thanks, Kim! It was sooo good. Whole30 is a 30 day program that is Paleoish, but actually more strict. You are getting rid of everything that might negatively impact our bodies and letting our bodies “heal” and break emotional ties to food etc. After 30 days you add them back in paying attention to how you feel. They also have a book to read. The website is Whole30.com – you should check it out. It was a good 30 days – I’m glad we did it. I have become absolutely addicted to a Brussels sprout hash I make with the sprouts, of course, some bacon pieces, onions, and mushrooms, then I fry a couple of eggs and plop them on the hash and it’s oh, so good! I make a big skillet of it and it keeps well, then just heat up what I want for breakfast and top with the eggs. Mmmm. That sounds amazing! How do you cut the brussel sprouts for it? I’m thinking something with bacon would be a great way to get my husband to like them. And I love that you like eating the leftovers – my kind-of of meal. I actually just tweaked a recipe I found online. I cook the bacon first and set it aside, then cook the mushrooms and onions in the bacon grease. I cut the sprouts in half and put them in the pan with everything else for a few minutes, but I found they don’t really get done that way, so then I scrape it all onto a baking sheet and cook it in the oven at 400 for about 15-20 minutes. As I mentioned, it keeps quite well, so I put it in the fridge and heat up want I want and put fried eggs on top. Love it! Mmmm. Thanks for sharing! I’ll be buying Brussel sprouts soon. 🙂 We saw them at the store today and my daughter asked if they were “little cabbages” 🙂 I think that means I need to get them soon. Slicing the Brussel spruts makes them really cook fast and they are so good with the bacon. I might actually put them in the butternut squash quiche instead of spinish sometimes. Great recipes. Not doing the challange but no dairy for me and I try to reduce my wheat intake. Being allergic to dairy is not easy sometimes. Yum!!! I still have yet to try Brussel Sprouts. I need to add them to my list. I like quick cooking, so I’ll probably try slicing them thin and my husband would say anything is better with bacon. 🙂 No dairy and limited wheat is tough! I hope your collection of recipes you love grows and you have a good selection to choose from. Thank you! We eat whole foods and run out of ideas when it comes to breakfast, because it really isn’t my favorite meal of the day and I am NOT a morning person. This will be a great resource to motivate me to change it up. Thanks! Thanks for commenting, Karissa! Agreed, it’s not my favorite meal of the day either and I don’t want to get up earlier to cook. 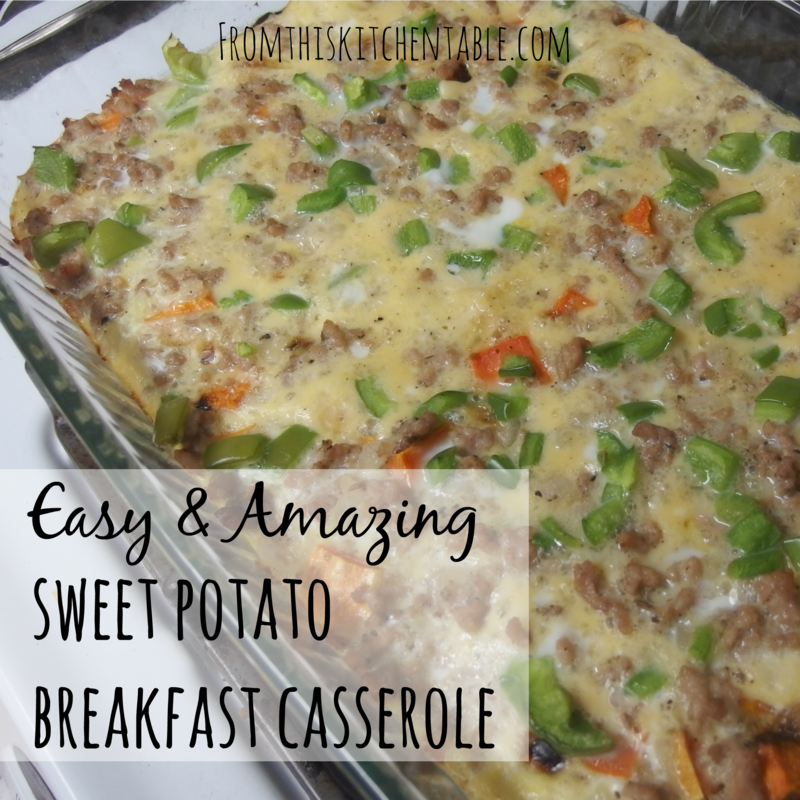 The eggs and hashbrowns and sweet potato breakfast casserole have become my new go tos! Those look great! Our sweet potatoes are finally done curing and first up on my list is to make that sweet potato egg bake. Thanks for sharing at Simple Lives Thursday; hope to see you again this week. 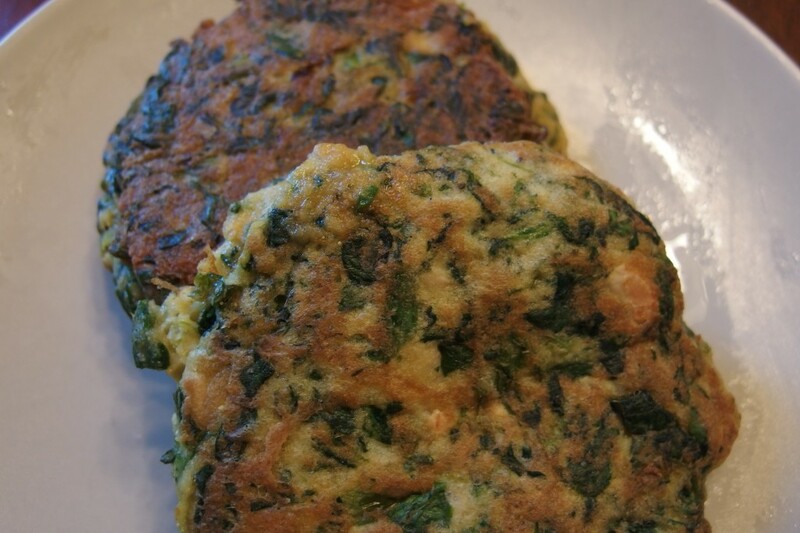 This is a great collection of breakfast recipes Deanna. Thanks for sharing it with us at Let’s Get Real. You will be one of my featured bloggers this week. I hope you’ll stop by when the party goes live Thursday at 5pm EST. Thanks, Nicky! Thanks for featuring me too. Love your link-up each week! Deanna…I look forward to trying some of these. 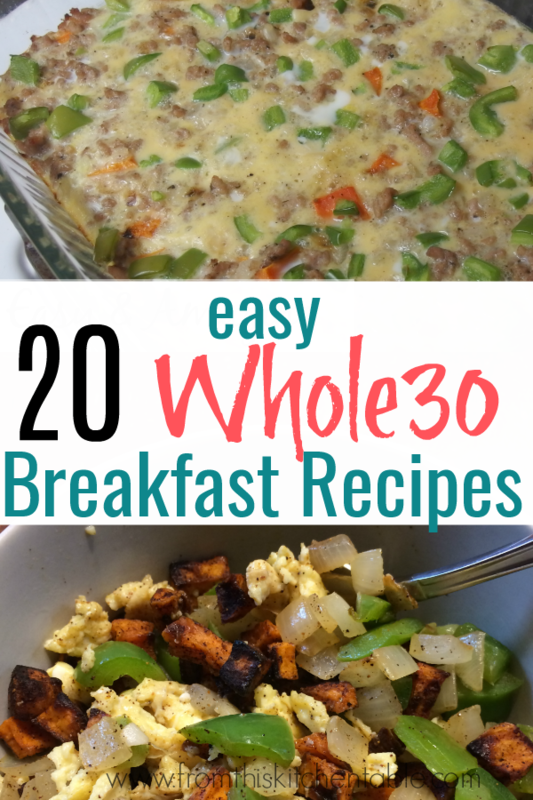 I love breakfast so these recipes will give me something new to try.. So glad you shared at Monday’s Musings. Have a blessed week. Looks like a whole lot of DELICIOUS! Please come join the link up at somuchathome.blogspot.com! I host a party each Wednesday. The link up parties last a whole week, so you can link up at any time. Feel free to link up as many posts as you’d like. Thanks for stopping by and sharing about your link-up! 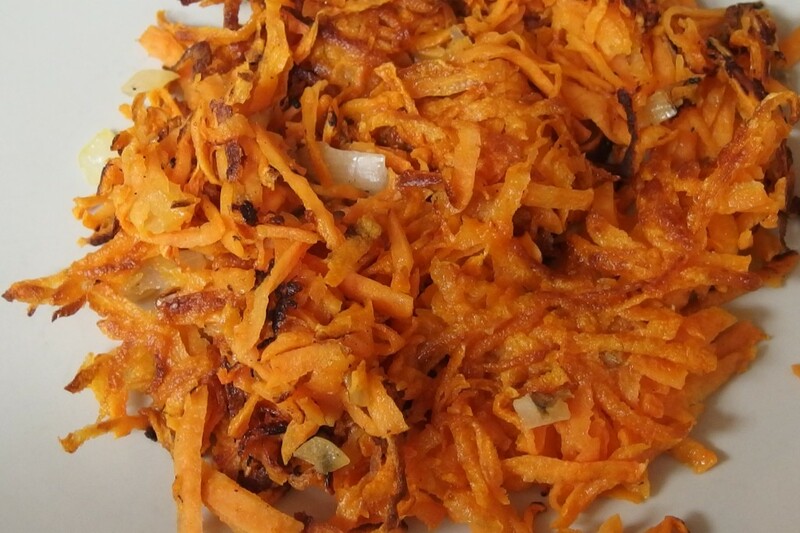 The sweet potato breakfast casserole and sweet potato hashbrown are my favorite breakfasts ever! Where did you find Whole30 compliant bacon? I haven’t been able to find any bacon without added sugar. I’ve looked everywhere. Thanks! I love the Avocado Egg Cups they look amazing and the sweet potato breakfast casserole as well. I look forward to trying some of these. Thanks for sharing!